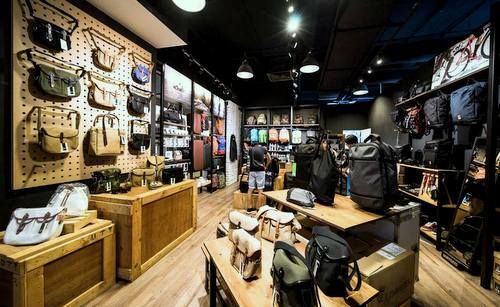 Multi-brand bag retailer The Bag Creature has one store in Singapore, located within Suntec City shopping centre (3 Temasek Boulevard). Established in 2012, The Bag Creature sells bags with a simple philosophy: bags for comfort, style, and practicality, for all our adventures. The shop was founded out of pure passion and a deep love for functional yet stylish bags, which is why you’ll find the very best bags there in terms of quality and design – from backpacks to travel bags, messenger bags, camera bags to luggage and wallets. Bags that meet the many demands of photographers, cyclists and travellers are one of the core focuses for the company. In addition, The Bag Creature makes sure all their products meet the highest standards of quality and aesthetics. The brands available at the shop include AER, Able Carry, Bellroy, Burton Snowboards, Brady, bitplay, Chrome Industries, Crafted Goods, Eastpak, Ethnotek Bags, EYL, Gregory, Matador, Mizu Bottles, Nixon, Obey Clothing, Pioneer, Piorama, Qwstion, Side by Side, Thule, VAGO Travel Vacuum, and Wexley. The official The Bag Creature Facebook page is located at www.facebook.com/TheBagCreature/. You can also follow the official The Bag Creature Instagram account, which in turn is available at www.instagram.com/thebagcreature/.